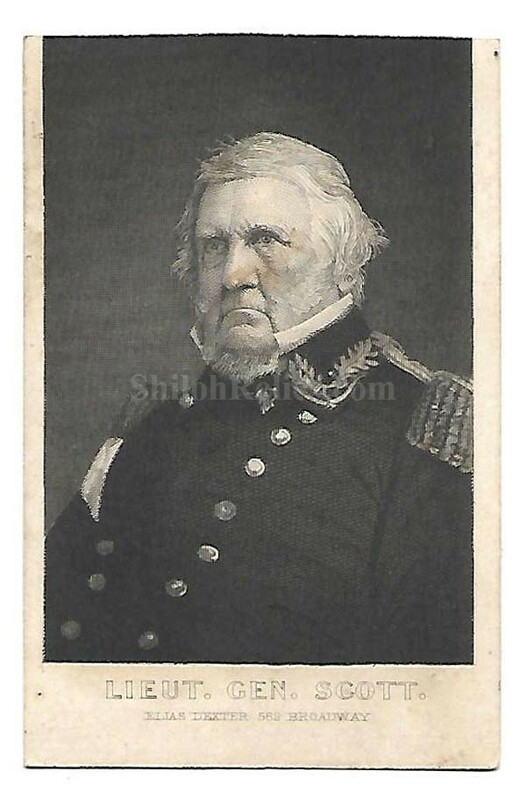 This is a great looking original Civil War era CDV image of Union Lieutenant General Winfield Scott (1786-1866). The face of the card is an image of the General in his Lieutenant General uniform with the epaulets. Scott was one of the most famous United States generals of all time. Scott was appointed to the Army in 1808 by President Thomas Jefferson. He served during the war of 1812. He ran unsuccessfully for president in 1852. This is one of the steel engraving versions of CDV that allowed for larger and more affordable copies of the images of the famous personalities of the day. 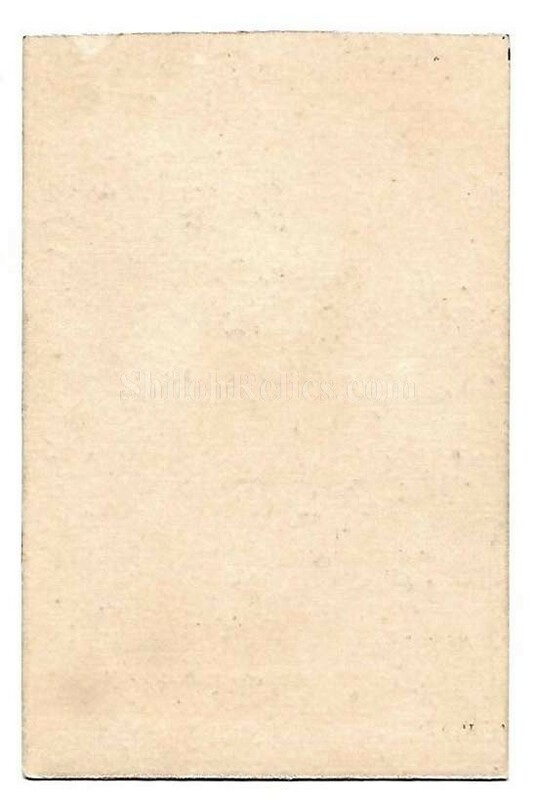 The overall size of a CDV image is approximately 2-1/2 inches by 3-3/4ths inches in size. This is a great looking image of one of the most popular Union Generals in American history.